The Data Protection Act is there safeguard our personal information when being held by organisations. That in itself we hope would be good enough, but if it isn't it is policed by the Information Commissioner's Office (ICO) who are an independent authority. As you can see, these data breaches whether intentional or not, happen a lot. It would want you to ensure the organisations who have your data have the necessary safeguards, but it's all to apparent that these are not in place, whether they are encryption solutions, firewalls, strong passwords, two factor authentication, data leakage prevention solutions, website firewalls, staff training, etc. 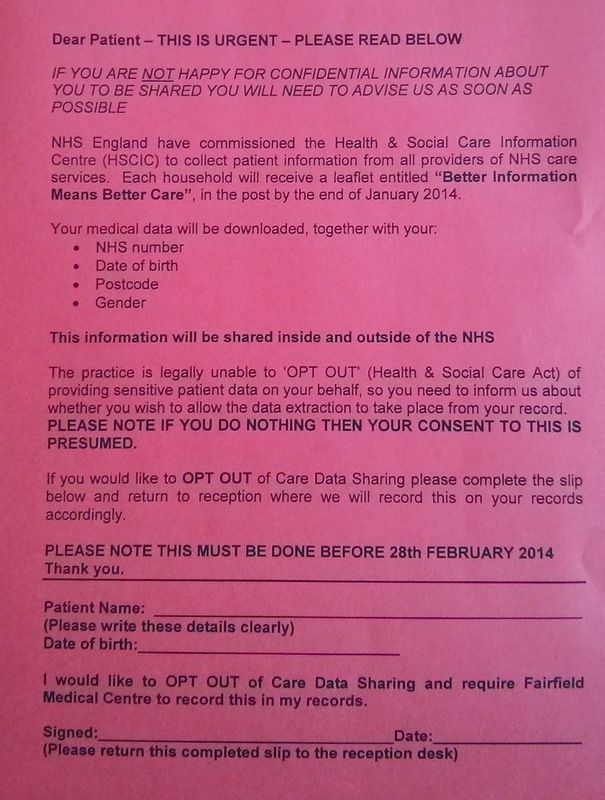 With all this in mind, did you know that the NHS have the right to share your personal information unless you opt-out of the scheme. I for one will be opt-ing out as soon as possible.